We all know exfoliation is key to any successful skincare routine, but how you exfoliate is equally as important. Though it seems like the methods for an efficient skin-sloughing are endless, most products on the market can be broken down into two main categories. The first is physical exfoliants, like ground apricot kernels or sugar granules, manually slough of dead skin cells. Chemical exfoliants, which include acids and enzymes, dissolve the proteins that keep dead skin cells stuck to the surface of our skin. If you’re not sure which one is best for you, we recommend starting out with a fruit enzyme-based exfoliator. That’s because they’re naturally less harsh than acids, making them ideal for someone with more sensitive skin (or an exfoliating newcomer). Enzymes are found in a veritable cornucopia of fruits and berries, though papain (papaya) and bromelain (pineapple) are the most common. They create a brightening effect by breaking down the keratin proteins attached to dead skin, lifting those cells away to reveal the living, healthy cells underneath. This method is gentler than a physical exfoliant since the enzymes simply dissolve away the dead skin — no scrubbing required. Read on for some of our favorite enzyme-infused exfoliants, find out why we love them, and get ready to get glowing! 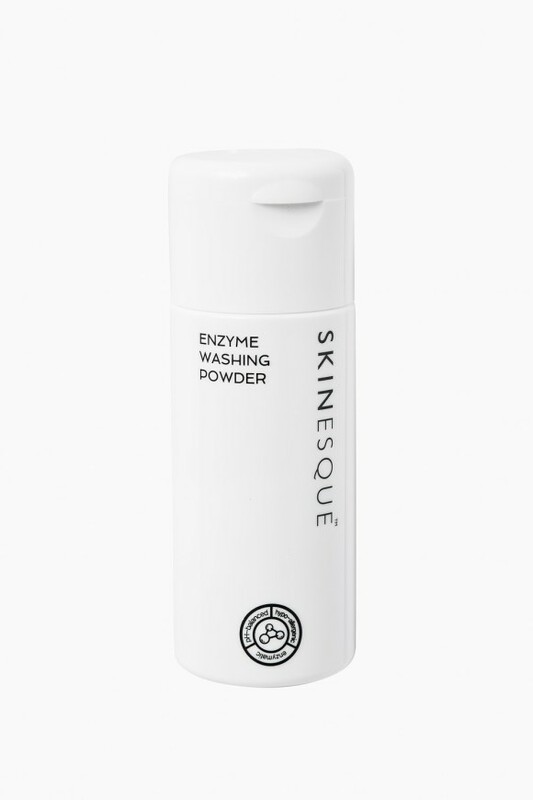 Why We Love It: The Skinesque™ Enzyme Washing Powder ($30) is an innovative face wash that starts off as a granular powder. Once it is activated with water, it turns into a creamy, soothing lather. The powder formula also ensures that the product stays fresh and stable longer. Since you only need a nickel-sized amount for each wash, the bottle can last up to three months. 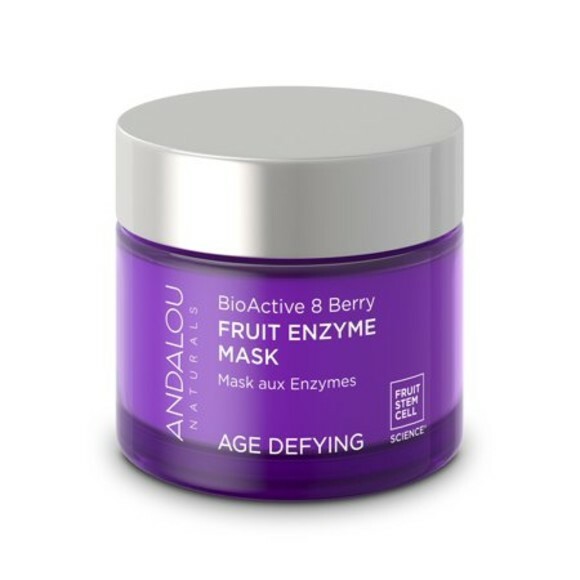 Why We Love It: The Andalou Naturals® Berry Bio-Active Enzyme Mask ($12) is a multitasking powerhouse. In addition to enzymes from eight different berries, this potent mask contains fruit stem cells and resveratrol, a powerful antioxidant. Both of these ingredients aid the skin in recovery and cell turnover, bringing forth the best and brightest new cells to the surface of your skin. Cranberry and raspberry extracts brighten — and contribute to a delicious, fresh-summer-berry fragrance. 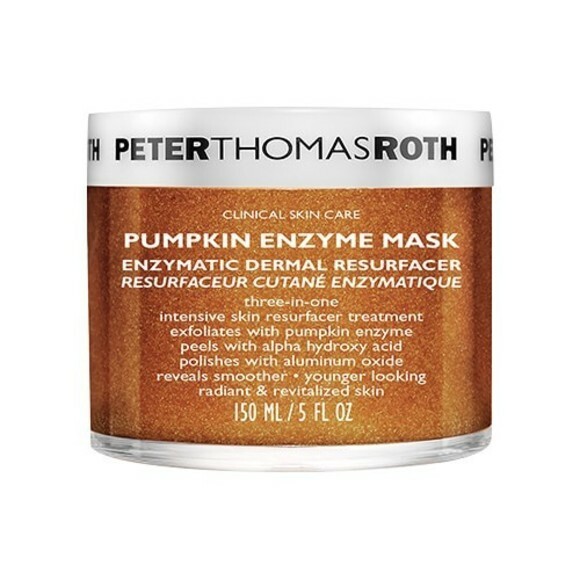 Why We Love It: If you are a devotee of the PSL (Starbucks’ infamous Pumpkin Spice Latte, for the uninformed) and want to reminisce on fall foliage while exfoliating your face any time of year, then the Peter Thomas Roth® Pumpkin Enzyme Mask ($58) is for you. This triple-action exfoliator is best-suited those without hyper-sensitive skin, as the combination of purifying pumpkin enzymes, alpha hydroxy acids, and aluminum oxide crystals, can be too powerful for some. And don’t blame us if you’re tempted to add a dollop to your morning coffee — yes, it smells that good. 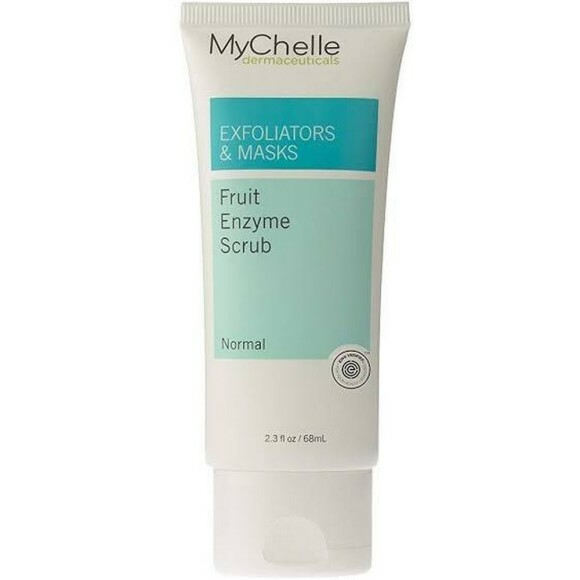 Why We Love It: For those looking to harness the brightening powers of enzymes without having their faces smell like a pumpkin or papaya (to each, their own), try this fresh-scented MyChelle® Dermaceuticals® Fruit Enzyme Scrub ($14). Brimming with brightening lemongrass and smoothing ground bamboo stem powder, it’s an affordable alternative that’s comparable to more expensive formulas—so you can use it every day without breaking the bank. 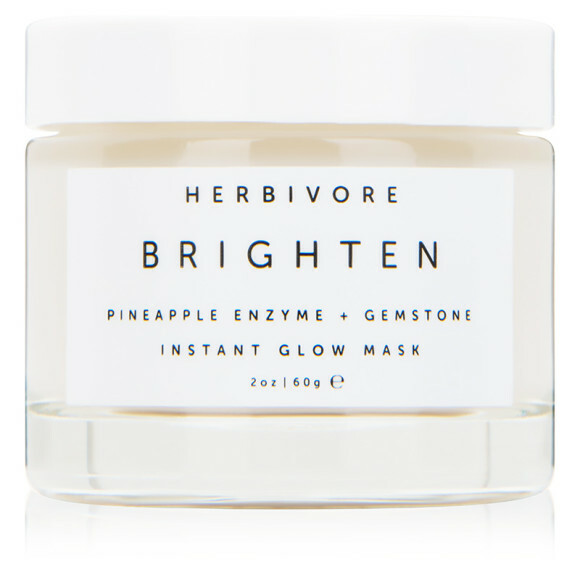 Why We Love It: This Herbivore Botanicals Instant Glow Mask ($48) is packed with the illuminating power of pineapple enzymes and ground Brazilian white tourmaline. The subtle warming effect of the pineapple increases circulation and enlivens the skin, while toning rose distillates and soothing aloe vera leave your skin looking plumped and fresh. 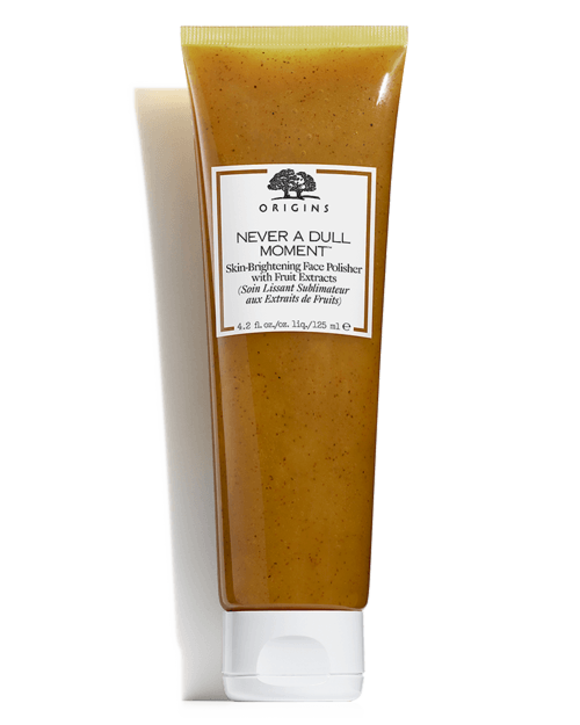 Why We Love It: If you’re looking for the satisfying feeling of a scrub and the undeniable glow of an enzyme exfoliator, try this Skin-Brightening Face Polisher ($31) from Origins. Formulated with an all-natural blend of chemical and physical exfoliants from apricot, mango and papaya fruits, this jelly-textured scrub will leave your skin polished to perfection with no hint of friction. Allergan may receive commissions for purchases made through links in this article.